The next surprise came when—after Eva rushed from her cabin home in Big Sur to the DA’s office in Salinas—the DA’s investigator tried to interrogate her and then, despite that she was nursing her sick infant daughter, placed her under arrest. At that point Eva began having seizures; paramedics were called, she was handcuffed to a gurney, taken to the emergency room and then handcuffed to a hospital bed. Next stop was county jail and the biggest surprise of all: she was being charged with felony kidnapping of her own son. The last thing she knew, she had full legal custody! 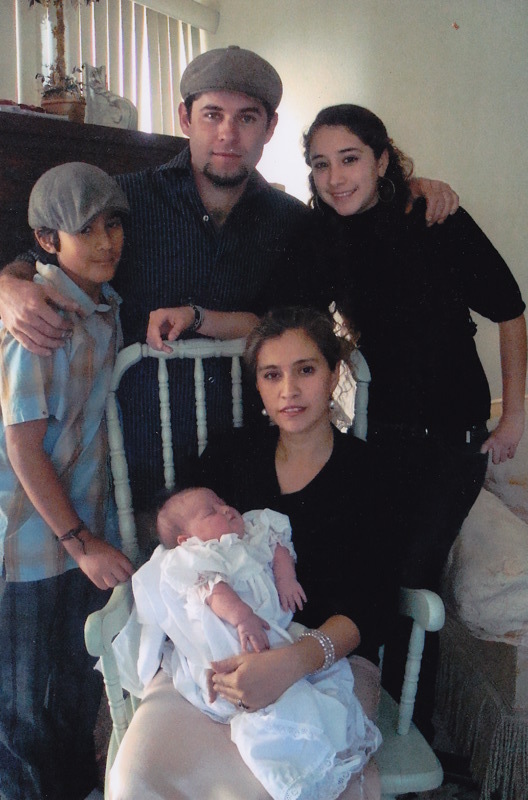 In 2002 the Monterey County Family Court gave Eva full custody of her son and permission to move to Mexico with him, and in 2003 Eva returned to court and explained her family’s delay in leaving for Mexico. Interim visitation was set up between Eva’s son and his biological father, Ramon Munoz, pending Eva’s move with her son, which happened in Oct 2003. On Aug 12, 2004, Ramon Munoz appeared in court seeking a change of custody. Eva was not at that hearing, because she was never served notice and had no knowledge it was even taking place. Judge Kay Kingsley, according to the official court transcript of the hearing, said, “Is Eva Gomez present? No?” and then changed the custody order. Even though the court had given Eva permission to move to Mexico with her son, and even though Munoz’s own declaration to the court affirmed that Eva was living in Mexico, Judge Kingsley issued a joint custody order and weekly visitations in Seaside, CA! Within weeks, Muñoz went to the Monterey County District Attorney and asked to open a child abduction case against her. It was that court order issued on Aug 12, 2004—without Eva’s knowledge and obtained under fraud—that was the basis for the felony charges against her and 2&1/2 years of relentless prosecution by the DA’s office. For the last four years, Eva Ruiz Gomez has lived and breathed a grinding, uphill battle against two court systems: to prove herself innocent of felony kidnapping charges in Criminal Court and to regain full custody of her son from Family Court. Now, four years after her arrest, Eva—correctly and ethically using the research done by a pro-bono lawyer in 2012—drafted a motion of her own, asking the court to rule that 2004 order null and void. On Sept 4, 2014, that victory was hers! By getting that 2004 order overturned, she not only regained full custody of her son, but she also proved that the order used to prosecute her was fraudulent. That Eva was able to do this—without a lawyer representing her—was nothing short of a miracle. It was possible only because of her tremendous perseverance and intelligence and the support of her community. However Eva’s victory came at a very high cost. She had to give every ounce of herself since Sept 28, 2010—to prove her innocence and to protect her son. She fought her battle in two courts at the same time, and the deck was stacked against her. It was against all odds that she prevailed.